I like the striking pattern of black and white on zebras. The individual silver stripes are sawed and soldered onto the base sheet. 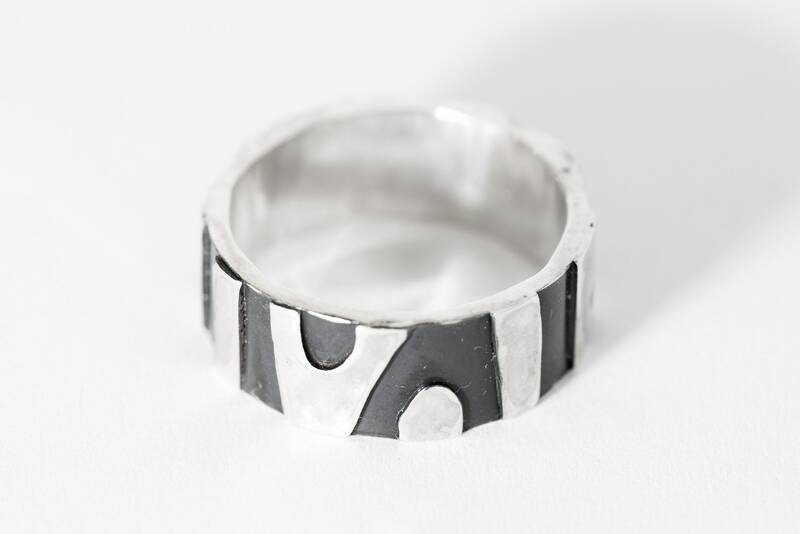 I polish the surface of the strips to reveal the true colour of silver after the ring is oxidised. That is how we have this zebra ring!